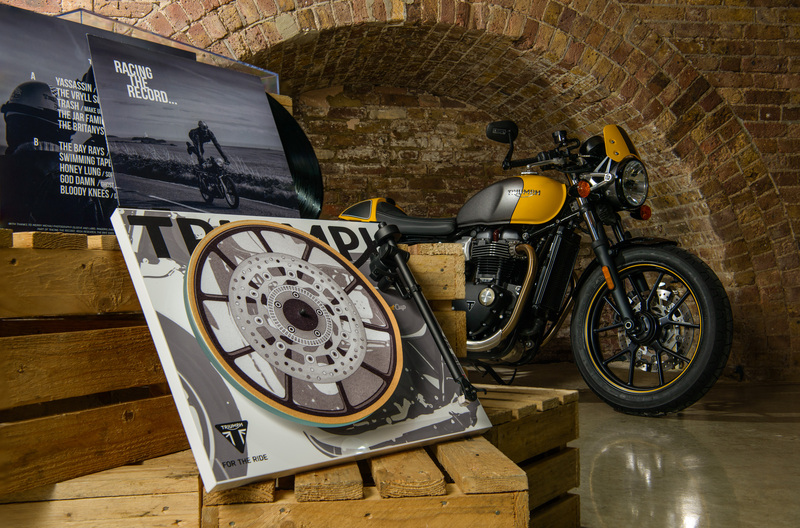 It might not be the first thing that springs to mind when you think of Triumph Motorcycles but this limited edition turntable and specially pressed vinyl record weirdly make sense. Why? 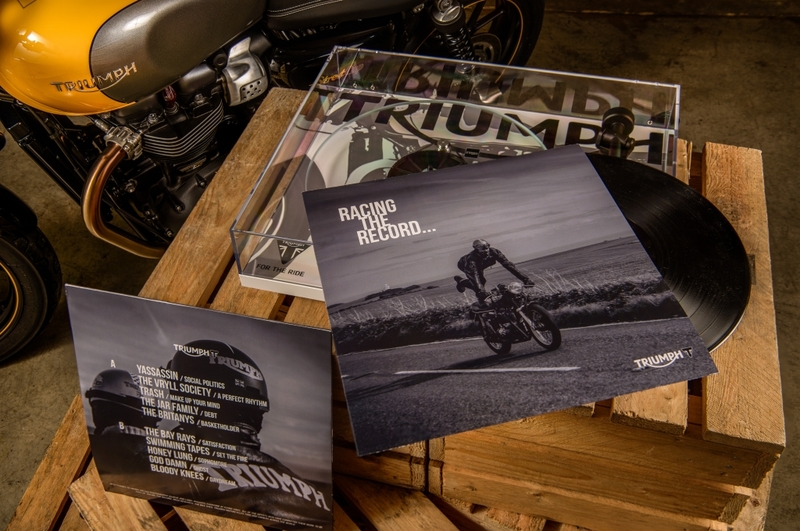 Because the LP is called ‘Racing the Record’ and it’s a nod to the original 1960s café racer practice of selecting a record on a café’s jukebox and racing to a predetermined point and back before the song had ended. Triumph’s machines were integral to the original café racer scene and it continues to create retro-inspired racers for today’s discerning bikers. That said, the vinyl player is fitted with a hand-assembled, precision-built RB110 tonearm, a low-vibration, low-noise 24v motor assembly driving a precision bearing and 10mm float glass platter fitted with a custom-printed plinth and mat. In short, it only boasts the essentials any discerning audiophile requires for the ultimate listening experience. 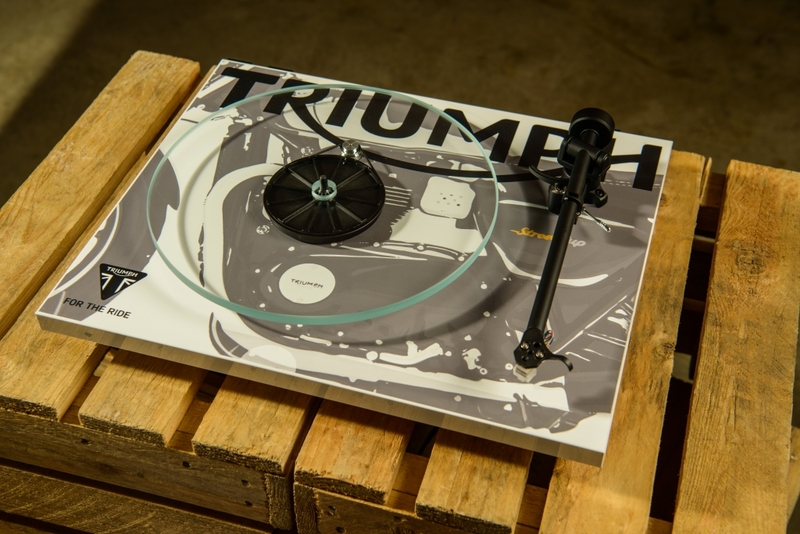 But here is the rub: only two turntables have been made and Triumph is giving them away via its Facebook page. You can’t buy them. The album, which features ten hand-selected, up and coming British rock bands, will also be gifted as prizes to savvy social media followers and 500 copies will find new homes over the coming months. 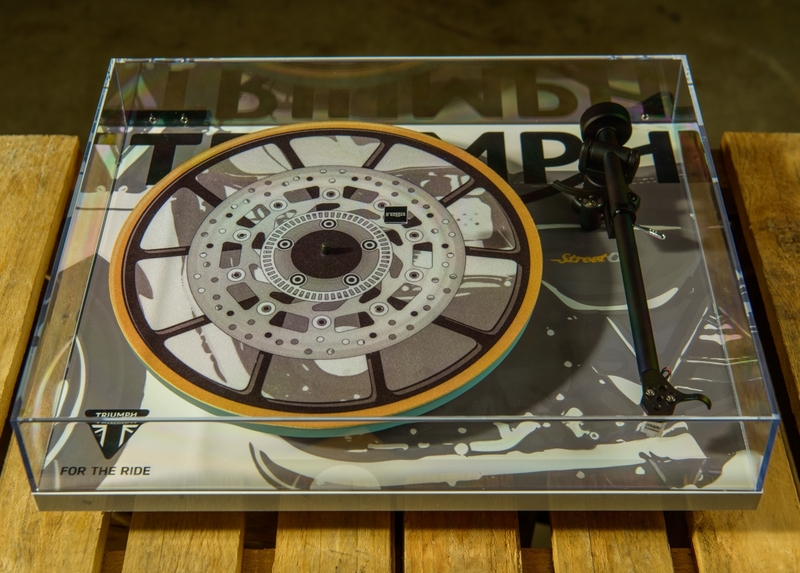 If you can’t stand the anticipation, both the turntable and vinyl album will make their public debuts at a launch evening on Tuesday, August 29, at London’s The Bike Shed, where a handful of the featured bands will provide live entertainment. Tickets for the event will be limited and a select few will win their place at the party via, you guessed it, Triumph’s Facebook and Twitter page. If these weren’t a good enough excuse to join the frenetic world of social media, nothing will be.